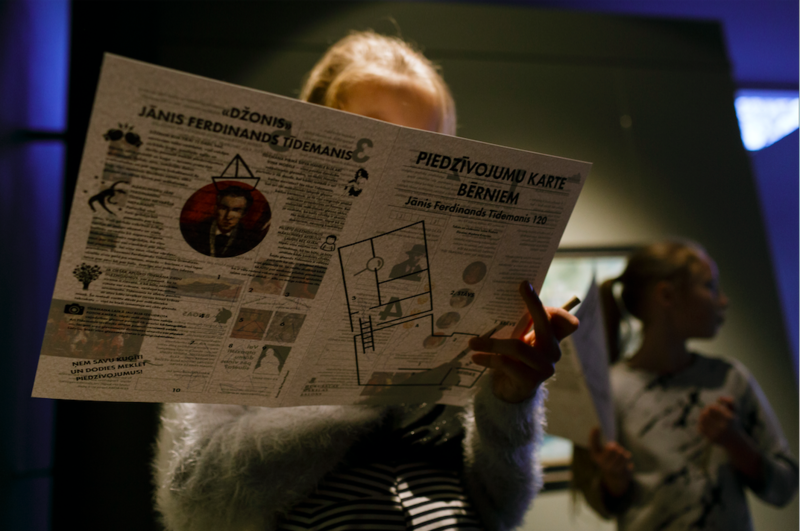 Activity maps for Latvian National Museum of Art and exhibition space "Mūkusalas Mākslas salons"
The first "Detective map" is a game, made for school children that allows independently explore the artworks of the Latvian National Museum of Art without a help of a teacher or a guide. The map invites you behind the scenes of the art world and allows to reveal the hidden secrets of artworks by some of the best-known Latvian artists. Available for free at the museum. In October 2017 the second activity map "The Monster Trail" was available at the National Museum of Art. This time the school aged children were invited to discover the hidden monsters of contemporary art. From November 2017 til the end of January 2018 an "Adventure map" will be available at the exhibition space "Mūkusalas Mākslas salons", where children will have a possibility to follow the life of an adventurer, sailor and artist Jānis Ferdinands Tīdemanis through his paintings.